﻿ Charmaine Smith - I AM Co.
We’re obsessed with hearing about what other people eat all day erryday and we just know that you’re all as curious as we are! There’s something so intriguing about knowing the secrets of a healthy foodie. Follow along with this series where we find out what a wide range of successful health-loving ladies eat in a day. This week we’re chatting with the talented Rugby World Cup Champion Charmaine Smith. Charmaine grew up on a dairy farm in Whangarei and has been a member of the New Zealand Blackferns for four years, and since debuting for the team in 2015 hasn’t missed a single test match. 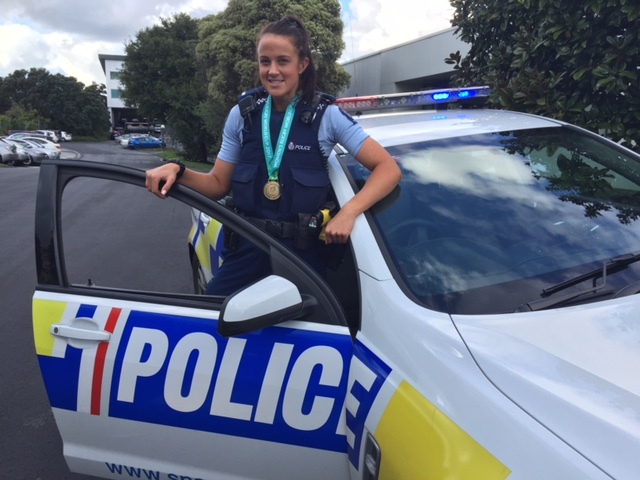 She’s also a Police Officer, joining the force six years ago and is currently based on Road Policing in the Auckland District. Protein, berry, broccoli, almond and oat smoothie. Mashed kumara, salad and crumbed chicken or fish. Believe it or not but I’m not a dessert person – no dessert. Ota-ika (raw fish tongan style), eggs and pizza. Butter Chicken Pizza from Pizza Club. Mums home cooked lamb roast.